Coffee With Games: New Play Control! Pikmin, Captain Olimar's Hours Report. Are New Play Controls, Better? New Play Control! Pikmin, Captain Olimar's Hours Report. Are New Play Controls, Better? New Play Control! Pikmin released on March 9, 2009 for the Wii with a MSRP of $29.99. The game was originally a Nintendo GameCube game released in 2001, and like other New Play Control! 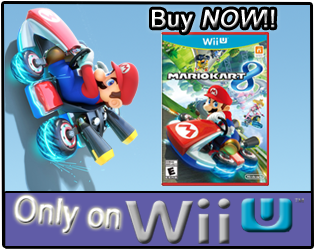 Wii games it was updated with new Wii Remote/Nunchuk controls. The game received an ESRB rating of "Everyone" with "Mild Violence" listed as content for gamers and parents to be aware of. How many hours have Wii owners reported controlling Pikmin with Captain Olimar in the game, since it released just over 3 years ago? Also, are the new play controls better than the original? Let's take a look! New Play Control! Pikmin has approximately 74,583 U.S. Wii owners that have reported game-play hours with 1,190 days possibly reported, which is 51,103 more players that have reported data since the first report on the game. The game's average play-time per day/session reported is 1 Hour 56 Minutes, and the 930,712 Total Hours now reported is an increase of 688,466 more Total Hours than since the first hours report. The game has a "professional" review score average of 79.55% based on 22 reviews on GameRankings.com. New Play Control! Pikmin's customer review score average on Amazon.com is 86.00%, based on 30 customer reviews. I rented Pikmin on the GameCube, but I have not played New Play Control! Pikmin. I don't remember much about my time with the game, probably because it has been about 10 years now and it was only a rental. I never played Pikmin 2 on the GameCube, and as of now I don't plan on purchasing the newly released Nintendo Selects: Pikmin 2 which just released this past Sunday, June 10, for the Wii. Though, I might add it to my "gifts list" as a potential game for the future. As for the yet to be released Pikmin 3, while it looks good from what I have seen so far, I found it very odd that Nintendo started their E3 press conference last week with the game. Why did I find that very odd? Mr. Miyamoto made it a point to mention Pikmin 3 will use new Wii MotionPlus controls for added accuracy, as well as the Wii U GamePad as an optional control method. I personally thought Nintendo should have opened the E3 conference with a Wii U game that used only the Wii U GamePad for controls, and then shown Pikmin 3 as a "surprise" for the middle of the conference. So I guess we are to assume the newer Wii MotionPlus controls are even better for the series, than apparently returning to the dual analogue controls being offered by the Wii U's GamePad? Have any of you perhaps played Pikmin and New Play Control! Pikmin? If so, do the new controls in the Wii version make a big difference for the game, enough that you would recommend a second purchase to gamers that owned the original GameCube version? If you are a fan of the Pikmin series in general, did the Pikmin 3 showing at E3 sell you on the Wii U system? Haven't played either (besides a small multiplayer game in Pikmin 2 a few years back), so I couldn't comment. 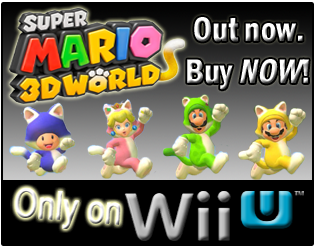 I would, however, like to buy a copy of this and Pikmin 2 for the Wii just to get ready for Pikmin 3. I'm wondering how much of the storyline Pikmin 3 will follow from the first two games, since they are introducing new captains into the game-play. Being that I didn't play the Pikmin 2, I don't know how much of a "sequel" it was in the storyline department. We all love some coffee whilst playing this! nice, seems you have random commenting systems for this too, the funk? 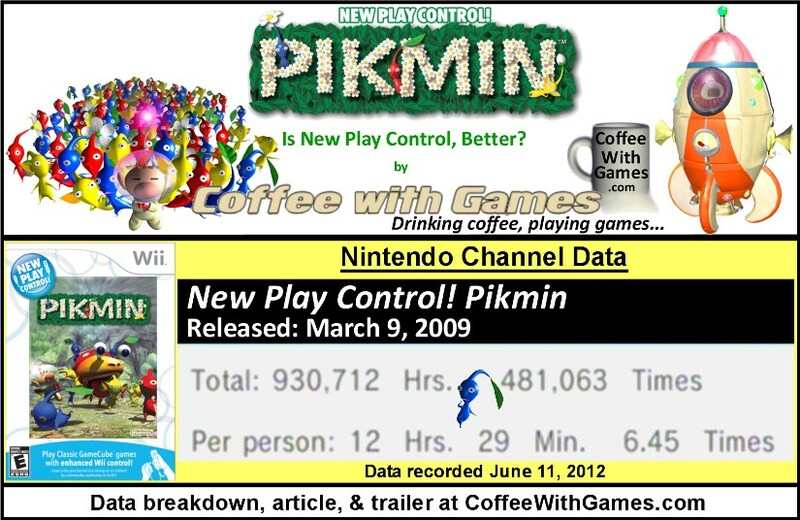 This translates to about 7995 Canadian Wii owners reporting data for Play Control Pikmin or 10.7% of the US total. Right down the middle on this one! Wow, that is pretty much the 10% range most show, as you have stated before. 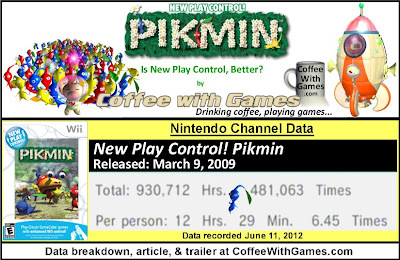 Even the total hours "Per person" I think gives a good ideas of how many hours Wii owners can expect from it.